Rockie, a pit bull mix, arrived at Sheriff Joe Arpaio's MASH Unit in October 2007 when he was just 3 months old, and he didn't come alone - he had a brother named Sid and a sister named Nancy. Rockie's siblings eventually found forever homes. 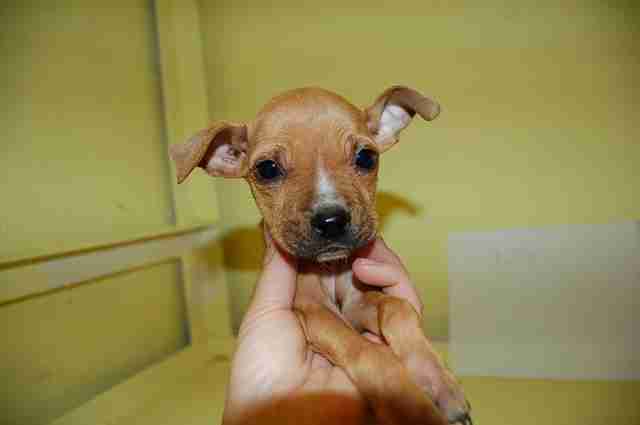 But Rockie is still stuck at the shelter, waiting for his forever family. It's been 9 long years. 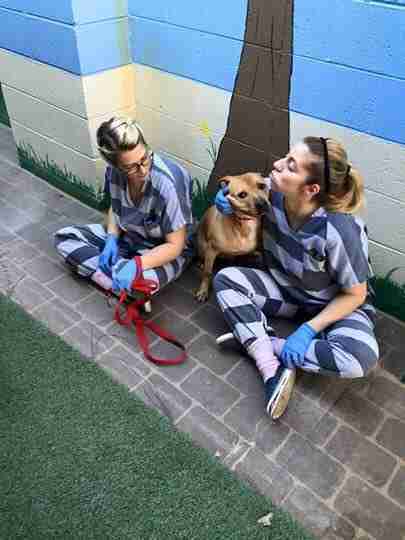 The MASH Unit is a no-kill shelter based in Phoenix, Arizona, and is linked to the Maricopa County Sheriff's Office. The rescue, which was opened 15 years ago, specifically takes in animals from cruelty cases including puppy mills, dogfighting, hoarding and neglect, Valerie Stockton, an animal care technician at MASH, told The Dodo. 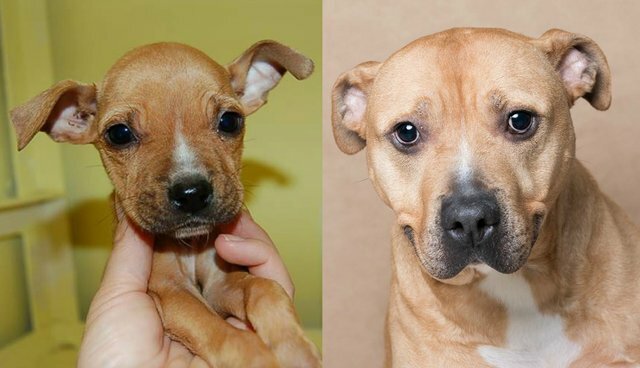 Rockie, who was rescued from a neglect case, is now a big guy and has that much more to give to the right family. Stockton said he has developed anxiety and some aggression toward other dogs, but is great around people. "Living here his entire life, Rockie is incredibly nervous when he goes to adoption events," Stockton said. "He shuts down and doesn't show his big personality ... nobody wants to take home the animal they have to work with." Rather, people gravitate to the happy, already well-adjusted dogs, Stockton said. While Rockie can be shy and submissive at first, once he warms up, he's known to be loud, flamboyant and plenty rambunctious. He's "treats-motivated" (just like any other pup) and loves a good cuddle, sometimes mistaking himself for a tiny lap dog when he climbs onto the laps of his caretakers. 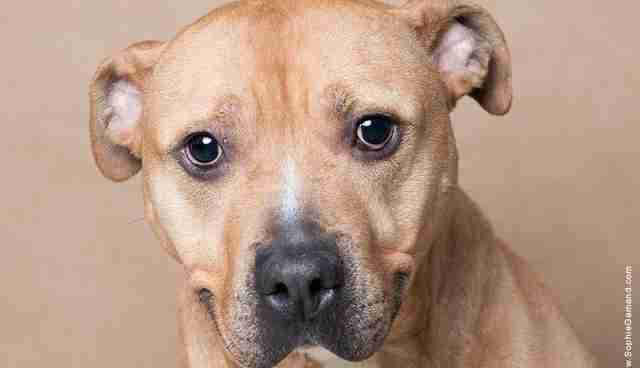 "He's just one of those dogs who feeds off the people's emotions around him," Stockton said. "He's brilliant." Rockie's looking for a local home in Arizona - close enough so the shelter can check up on him or have him returned should the new home not be the right match. He also needs a home where he'll be the only dog around. If interested, contact the MASH Unit at 602-876-1212 for more information.